A guest blog from our colleague by Andrea de Ruijter, from Amnesty International – Netherlands. Andrea acted as one of Amnesty’s trial observers at the latest hearing in the Ali Ismail Korkmaz murder case. “Ali Ismail Korkmaz, dreaming of a free world” is written on T-shirts worn by the lawyers, family members and many others present in court. A year and a half ago, 19-year old Ali Ismail himself wore a T-shirt saying “world peace” on the day that he was beaten and kicked by the police and civilians during a Gezi Park protest. He later died because of this police brutality. 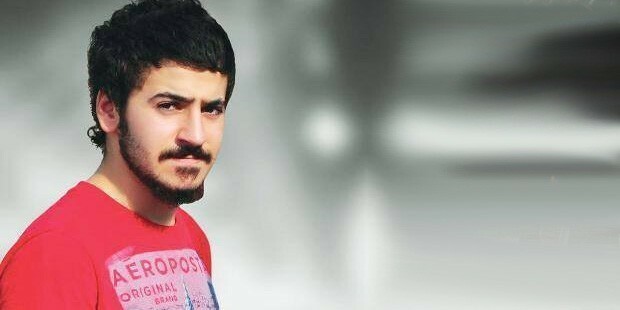 Before the hearing of 26 December I thought that this would be the last hearing in Ali Ismail Korkmaz’ murder case. Unfortunately this turned out to be untrue. One day before the hearing, the lawyer of one of the police defendants told the court he could not be present. His client himself was also unable to attend as he just had a medical operation. At the end of last week’s hearing the judges decided that the defendant should be given the opportunity to give his final defense. The next hearing will therefore take place next month, on 21 January. After the hearing I spoke with a family member of Ali Ismail Korkmaz. “We are not happy with this decision by the judges” she told me. “It takes too long.” Already a year and a half the family is waiting for justice. Apart from the enormous emotional impact, the trial takes a financial toll on the family as they have to travel from their hometown Hatay to Kayseri where all the hearings take place. While the family is waiting for justice, they are doing everything they can to keep the memory of Ali Ismail alive. As Ali Ismail used to teach children and was involved in projects related to the disabled, nature and animals, the family has set up a foundation to continue these activities. The ALIKEV Foundation has already set up a library, provides scholarships and has environmental projects. While Ali Ismail was hoping for a better world, it is my hope that those responsible for the death of this young and promising student will be held accountable for their actions. Hopefully we will know more on 21 January. This entry was posted in Amnesty International, Excessive Force, Freedom of Assembly, Freedom of Expression, Gezi Park, Impunity, Turkey and tagged Ali Ismail Korkmaz, Amnesty International, Andrea de Ruijter, excessive force, Gezi, impunity, Trial Observation. Bookmark the permalink.